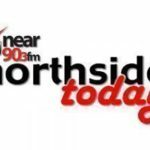 Near FMs Berni Dwan joins Adrianne Murphy live in studio to discuss, how important it is to keep History as a core subject at the Junior Cert level and why the Minister for Education has still not responded to Berni’s Question. To Listen to the A to Z of Historical Blunders Click Here. To Find out more about the A to Z of Historical Blunders Click Here.